Need motivation for 2011? Well get your hands on the latest issue of CHOICES Career & Education Magazine. 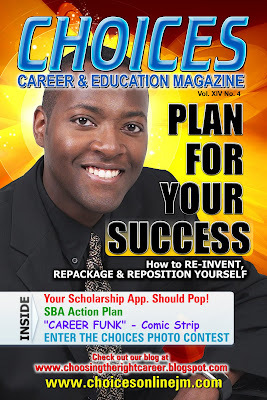 Find out how to re-invent, repackage and reposition yourself for career and life. Call us at 954-323-6217 or 876-782-1644 to find out how to get yours.